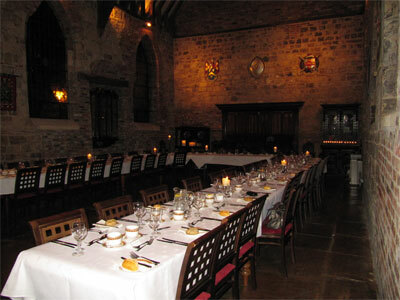 Bedern Hall in York was at its beautiful candlelit best on Monday night for the Rhyme and Dine event I put on with chef Roger Lee for Cambridge Education Group’s FoundationCampus annual conference. Plus a a poem about FoundationCampus that they had commissioned from me specially for the event. The evening ended with delegates entertaining each other – and me – with their freshly minted limericks. Much fun was had by all! A big Thank You to FOC’s Lisa Tyler for all her behind-the-scenes work in advance of the conference. 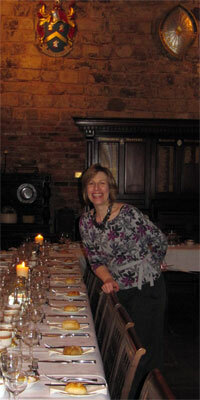 To Roger Lee and his staff at Bedern for a fabulous meal. And to the great – and very talented! – group of people who make up FoundationCampus, for sharing their evening with me. And if you’d like some entertainment with a difference for your conference dinner – with, perhaps, a poem written specially for the occasion – then get in touch!